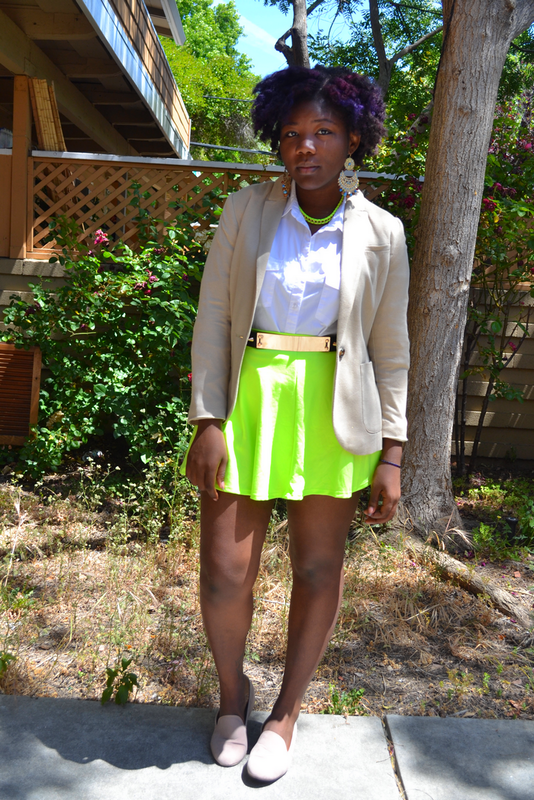 Love the way u styled it. trooop belle ta tenue!!! je veux ta ceinture elle est trop chic!!!! les shoes et la jupe sont belles aussi! You never smile!!! Why?!? It's so rare to see a smile on your face or to have you looking straight at the camera in your pictures. Be more confident! I like the outfit nice color combo. Jolie tenue, j'aime beaucoup les couleurs que tu as associé! 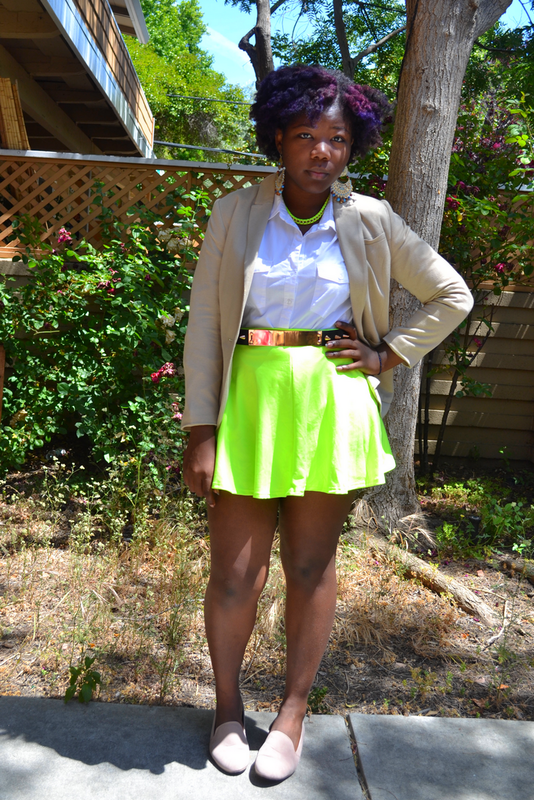 love your neon skater skirt... and the belt is attractive! Ta jupe est top & ton collier a l'air très jolie :). You look like a really badass, punk rock receptionist! following you on bloglovin, check out my blog?